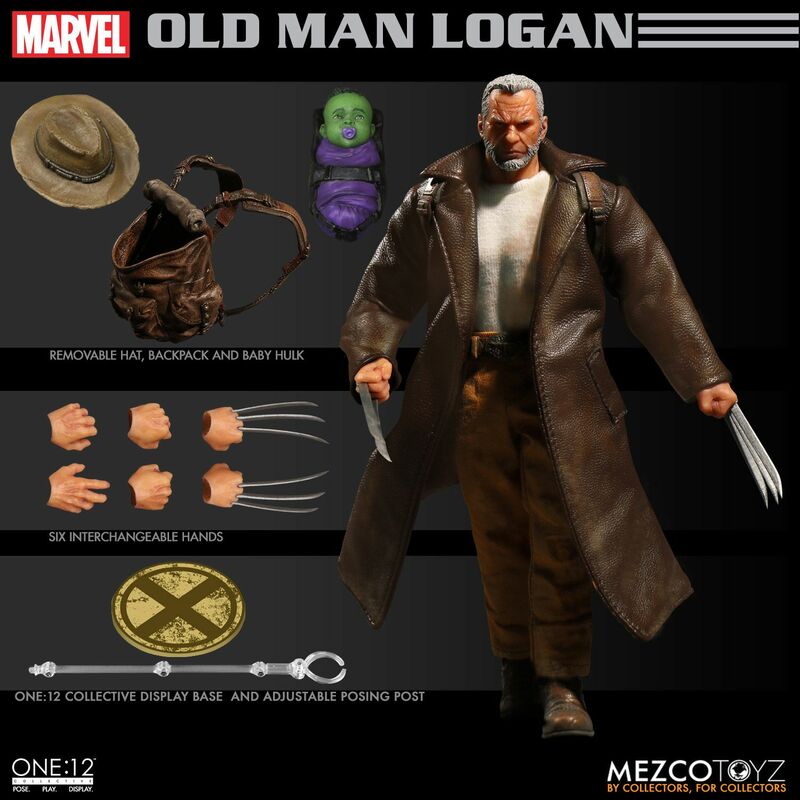 Fresh off his latest movie, truly a spectacular tale, Logan now makes an appearance in Mezco Toyz new One:12 Collection entry – Old Man Logan. I don’t have any of their One:12 figures, but I’m a fan. This newest one looks fantastic, and it comes with some awesome accessories. Read the press release for pictures and ordering information! In the alternate future of Earth-807128, Wolverine has aged. Now know as Old Man Logan, he lives with his family in a barren wasteland trying to maintain as normal a life as possible. When events turn against him Logan’s family and everything important to him is destroyed by the Hulk’s gang. Using his claws for the first time in years, Old Man Logan exacts revenge, sparing only the baby known as Bruce Jr. With his family gone, Old Man Logan heads off into the sunset with the baby vowing to set things straight. Each One:12 Collective Old Man Logan figure is packaged in a deluxe, collector friendly box, designed with collectors in mind there are no twist ties for easy in and out of package display.